Whether you or a loved one has been diagnosed with chronic fatigue syndrome, it is important to learn as much as you can about the condition. When it comes to conditions that are often misunderstood, like chronic fatigue syndrome, knowledge is your ally. 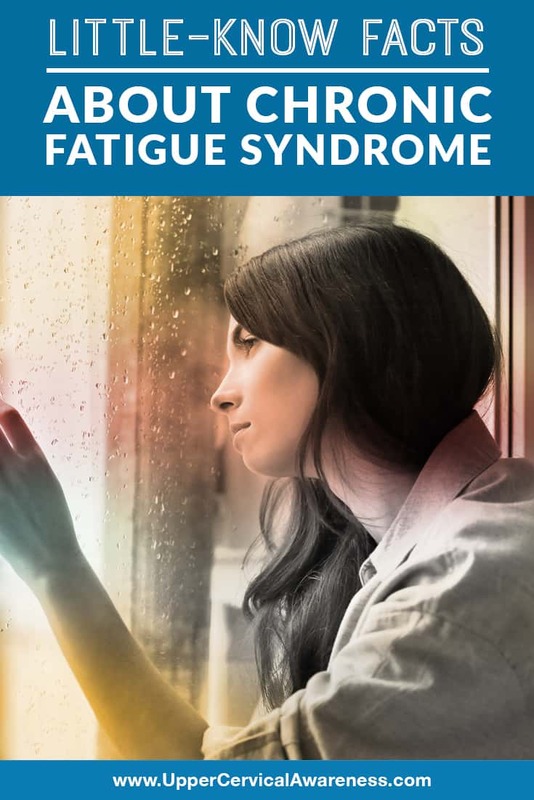 With that in mind, here are some little-known facts about chronic fatigue syndrome, including a natural way to get help that has improved quality of life for some patients in case studies. Chronic fatigue is about more than just being tired all the time or not getting sufficient rest. Left unchecked, chronic fatigue syndrome can leave a patient bedridden for days at a time. It is vital to know what will trigger an attack and limit exertion levels to what you can handle in order to avoid flare-ups. Don’t mistake the name of the condition as meaning there is just one symptom. Chronic fatigue syndrome patients face a wide array of symptoms that are difficult to cope with. One of the worst is widespread pain, which also results in a misdiagnosis of fibromyalgia on occasion. Other debilitating symptoms can be cognitive difficulties, balance problems, and sleep disturbances. Getting a chronic fatigue syndrome diagnosis is a long process. Since there is no test for it, a physician will likely want to rule out a number of other conditions first. If you don’t give up due to the time and expense involved in getting a diagnosis, you still face the risk of being misdiagnosed. In all, the Institute of Medicine believes that are about 2.5 million people who would be diagnosed with chronic fatigue syndrome in the US alone if they stick it out through the process and go to the right doctor. A person with chronic fatigue syndrome isn’t usually completely exhausted every single day. The condition goes through periods of remission, followed by symptomatic flare-ups. For some patients who have chronic fatigue in their earlier years, it is not unheard of for the condition to into such a long remission period that they think they are better. There isn’t much that doctors can do about chronic fatigue syndrome. Add this to the fact that the medical field still hasn’t done much research on chronic fatigue, and you have the recipe for a lot of uninformed doctors. As a result, you may find that you have to try a number of different practices before getting a diagnosis or any sort of care that doesn’t involve a few prescriptions to try and treat individual symptoms. While doctors may occasionally prescribe a medication for off-label use, there is no FDA-approved chronic fatigue syndrome drug. There are also no therapies that have been approved by the FDA, but that doesn’t mean they are all ineffective, as we will discuss in just a moment. This may seem counterintuitive at first since overdoing it may result in days of symptomatic flare-up, but graduated exercise programs are designed for those in a situation like yours. This type of exercise program starts very light, perhaps even with just stretching. As you gradually add activity, you may reduce pain levels in the body and build up tolerance, which will allow you to do a little more before fatigue sets in. Always have a doctor oversee your exercise program. In a case study involving chronic fatigue syndrome patients who were also suffering from an upper cervical misalignment, correcting the subluxation helped improve the quality of life for patients by helping to relieve both physical and mental symptoms. What is upper cervical specific chiropractic? Upper cervical chiropractors are subspecialists who focus on just the top two bones in the neck, the C1 (atlas) and C2 (axis). These bones are located in a sensitive region of the body, and even the tiniest of misalignments can have far-reaching effects. The good news is that upper cervical chiropractors have been specifically trained to find and correct this specific misalignment in a safe and gentle manner. There is none of the popping and twisting of the neck involved that you may associate with general chiropractic. This is because very precise measurements are taken using diagnostic imaging. Therefore, only a gentle touch or the use of an adjusting instrument is needed in order to coax the bones back into place. The role of the cervical spine in facilitating blood flow to the brain as well as the proximity of the atlas to the brainstem helps to explain why upper cervical chiropractic care can provide benefits for those with chronic health conditions such as chronic fatigue syndrome. If this sounds like a natural therapy that you would be interested in trying, then we encourage you to use the search feature on this site to find one of our preferred doctors in your area. An upper cervical examination may your first step down the path to regaining some quality of life and getting chronic fatigue syndrome under control. Schedule a consultation today to find out if this is the natural help you’ve been searching for! to schedule a consultation today. The content and materials provided in this web site are for informational and educational purposes only and are not intended to supplement or comprise a medical diagnosis or other professional opinion, or to be used in lieu of a consultation with a physician or competent health care professional for medical diagnosis and/or treatment. All content and materials including research papers, case studies and testimonials summarizing patients' responses to care are intended for educational purposes only and do not imply a guarantee of benefit. Individual results may vary, depending upon several factors including age of the patient, severity of the condition, severity of the spinal injury, and duration of time the condition has been present.